Jan - 02 | By: Oregon Film | one comment. Every year, the union performers in the Portland SAG-AFTRA local gather at the Lake Theater in Lake Oswego to watch their union’s televised annual awards event. This year, the event is open to all local union members and supporters, and is doubling as a fundraiser for local SAG-AFTRA president Robert Blanche, who’s fighting for his life after a double lung transplant. Blanche, 56, has been a television actor since 1994, frequently playing law enforcement officers in TV crime dramas, like Sergeant Franco on NBC’s Grimm. In 2011, he was diagnosed with hypersensitivity pneumonitis, an inflammation in the lungs. In August, he received a double lung transplant, but he’s still struggling to overcome complications from the procedure. Blanche is a father of five, including two small children, and has been unable to work because of his medical condition. 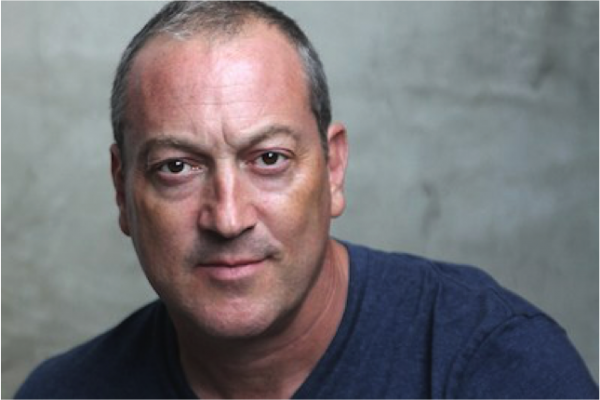 Friends and coworkers in SAG-AFTRA have raised over $35,000 to support his family, but with Blanche having spent over four months in the hospital, the funds are spent and his family is in need of further help. Supporters hope to raise another $30,000 through this fundraising drive. They’ll raise funds with event tickets ($25 for union members, hors d’oeuvres and a drink ticket included), a silent auction, and a raffle. Prizes will include season passes to Portland Center Stage and possibly visits to film and television production sets. The fundraiser will run through Valentine’s Day. 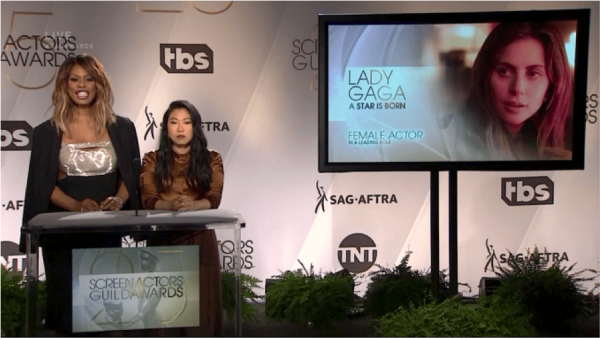 SAG-AFTRA members nominate and select the winners of the Screen Actors Guild Awards, which honor SAG-AFTRA members for outstanding individual, cast and ensemble performances on both film and television. The award ceremony will be broadcast live on TNT and TBS at 5 p.m. Pacific Time Jan. 27. GIVE: At Robert Blanche’s campaign page at the National Foundation for Transplants, you can contribute directly — and find out more about the campaign. Additionally, are you able to donate items for the auction? See the flier below for deatils. Portland Local SAG-AFTRA members are holding a fundraiser at our SAG Awards Viewing Party to support Robert Blanche and his family following Robert’s double lung transplant last August. We initially raised over $30K to care for the Blanche Family, but after 4 months in ICU and with Robert continuing there until at least February, the funds are completely depleted. Our goal is to raise $40K! Tickets to arts & sporting events, movie theatres • Gift certificates to restaurants, experiences, shopping • Gift baskets • Vacation stays • Beauty and health products or services • Pet products or services • Outdoor gear or experiences • Artwork • Clothing • Coaching or teaching services • Training services • Gym memberships • Headshot sessions • And so much more! PLEASE CONTACT [email protected] TO DONATE! All items must be new, and donations must be delivered by January 26th. Gift certificates may be emailed. Please include the donor’s name or company name, a short description of the item, its approximate value, and any special terms and conditions. Thanks for publicizing our joint viewing party and fundraiser for Robert Blanche and family! A CORRECTION: RSVPS should be sent to [email protected]. All admissions are suggested amounts that money and raffle ticket sales will go directly to the family fund.